A personalized Halloween invitation. 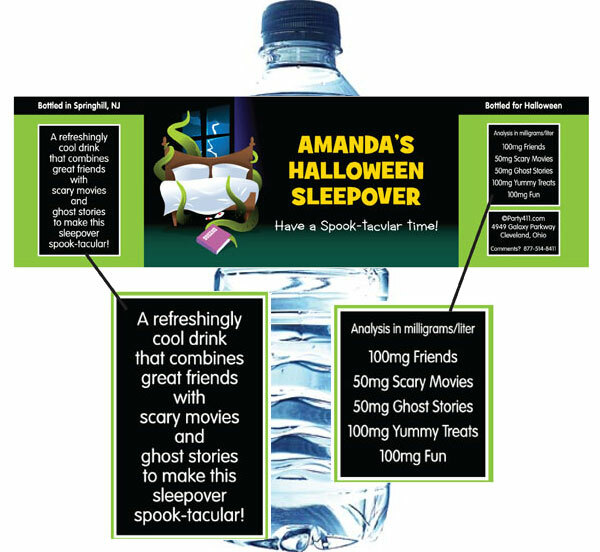 With many fun and spooky designs to choose from, you will find one that delights you (and your guests). 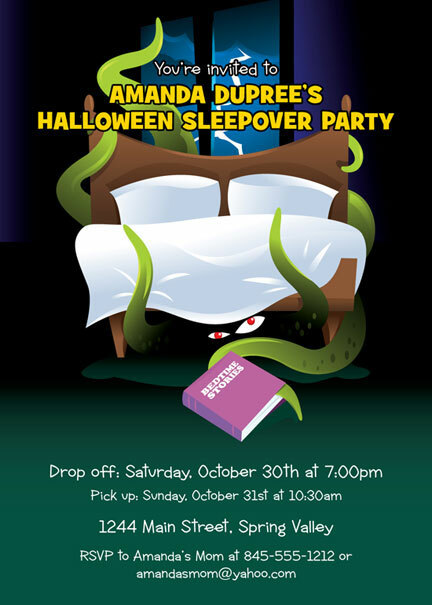 It’s your Halloween party so it deserves a Halloween invitation that shows your personal touch. Personalize! Capture the spirit of your party with a greeting or message written by you! Sizing: Standard invitations are 5" x 7". Our graphic artists work their magic on each invitation to create the best invitation possible. Envelopes are included with every order. Proofs: You will receive a proof of your order by email within 2 business days. Invitation Text: Remember to include name of celebrant, place, date and time. Minimum order is 30 invitations. You will receive a proof by e-mail within 2 business days. 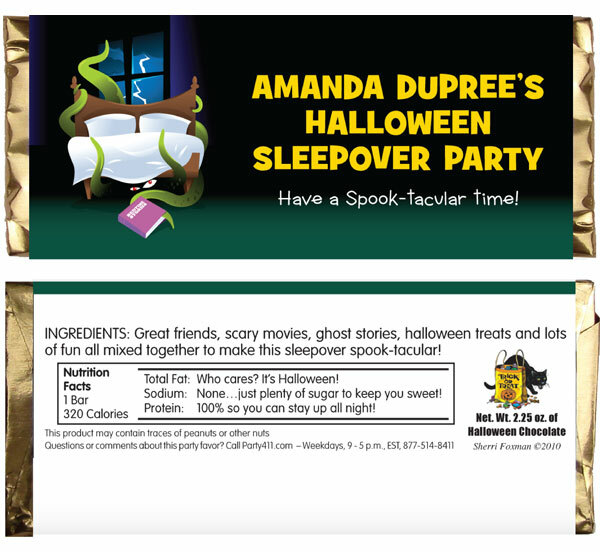 Halloween Sleepover Theme Banner Don't let the bed bugs bite! 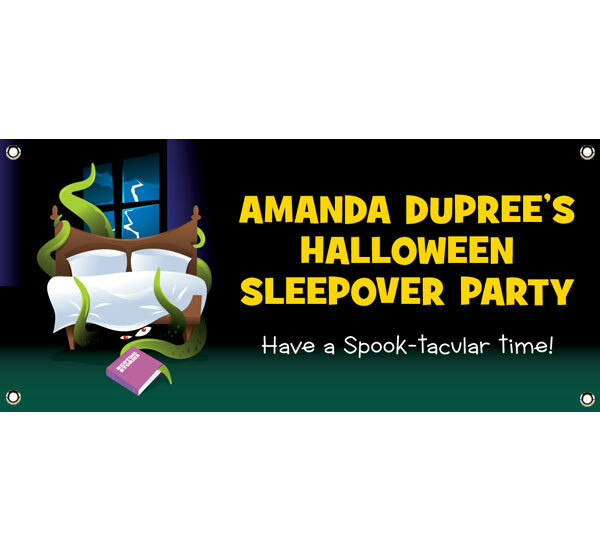 This haunted sleepover banner won't!